Cliffs of Moher 25 mins. We're only one minute from the Ennis bypass of the N85, and two minutes from M18 motorway! Take the first roundabout on the N85 shortly after leaving the M18 to the left; keep left on the following T-junction. On the next intersection turn right, the house is on the right side. From Ennis/Cliffs of Moher take the N85 leading to the M18, and leave the N85 on the first roundabout after passing the remains of Clare Abbey on the left, shortly before reaching the M18. Then as above. We're located near Clarecastle and Ennis, Co. Clare. 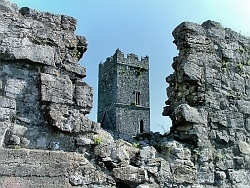 Shannon Airport and Bunratty Castle are both only a couple of Minutes away. 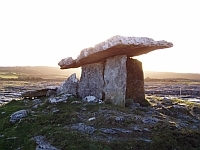 County Clare is well renowned for its natural beauty, for traditional Irish music and for the hospitality of the people. Our house is ideally located centrally to all the sights the county has to offer. Ennis has picturesque streets with colourful shop fronts, the well preserved cloister ruins of Ennis Friary and Clare Abbey, the Glor Irish Music centre and the Clare Museum - all well worth a visit. A variety of traditional pubs provide traditional and contemporary evening entertainment. Bunratty Castle and Folk Park give an insight into Irish living in medieval and 19th century times. Knappogue Castle is surrounded by a beautiful Victorian walled garden. Medieval dinners are held in both castles. Only a few minutes driving brings you to Quin Abbey, the best preserved abbey in Ireland's Mid-West region, and to Craggaunowen Stone Age Project featuring a reconstructed Iron Age lake-dwelling as well as Ring Forts in a quiet woodland setting. The unusual Burren limestone area as well as the Cliffs of Moher are both less than 30 mins. 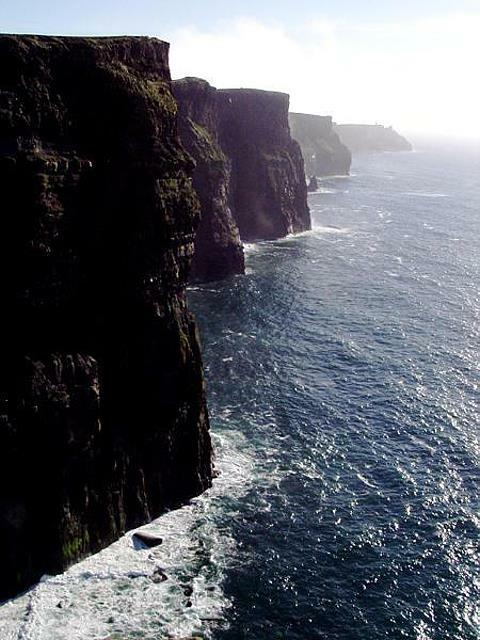 away in Northwest Clare, while the Loop Head Peninsula in the little known West Clare area has one of the most breath taking cliff sceneries of Ireland. Walking: The Mid Clare Way Walking route - a 130 km loop - is passing near the house. If you like it less strenuous - quiet country lanes invite leisurely walking. Golfing: The courses of Dromoland and Ennis are only a short drive away. But County Clare offers a variety of other golf courses for all tastes and abilities: the East Clare Golf Course, the courses in Kilrush, Kilkee, Doonbeg, Spanish Point and Lahinch. All of these courses are within half an hour from the house! Riding: The Clare Equestrian Centre is a few minutes away offering a wide variety of activities suiting all ages and levels of experience! Angling: County Clare is a paradise for anglers with well stocked rivers and lakes in all areas. Sea fishing is possible from several ports along the coast, e.g. 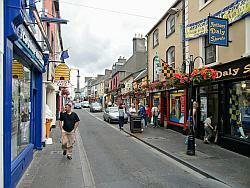 Kilkee, Carrigaholt, Quilty, Liscannor. Swimming: Swimming pools are to be found in Ennis. The Atlantic beaches on the West coast in Kilkee, Spanish Point, Miltown Malbay and Lahinch are all about 30-45 mins. away. Most of the beaches also offer excellent surfing!